Magnus August Høiberg (born 29 November 1987), known professionally as Cashmere Cat, is a Norwegian DJ, record producer, musician and turntablist. He is best known for producing songs for various artists, as well as remixing and editing songs from those respective artists as well. He also represented Norway in the DMC World DJ Championships as DJ Final from 2006 to 2009. His debut EP, Mirror Maru ,   released in October 2012, gained recognition from several other producers. DMC World DJ Championships is an annual DJ competition hosted by Disco Mix Club (DMC) which began in 1985. His debut studio album, 9 , was released on 28 April 2017. 9 is the debut studio album by Norwegian DJ and record producer Cashmere Cat, released on 28 April 2017 through Interscope and Mad Love. Before his career, Høiberg represented Norway in the DMC World DJ Championships from 2006 to 2009 under the pseudonym DJ Final. His debut extended play (EP), Mirror Maru,   was then released on 22 October 2012 as Cashmere Cat. The diversity and influence of multiple genres gained support from notables such as Hudson Mohawke, Rustie and Gilles Peterson. The EP's title track was later included on the soundtrack to Grand Theft Auto V in 2013. Ross Matthew Birchard, better known by the stage name Hudson Mohawke, is a producer, DJ, and composer from Glasgow, Scotland. A founding member of the UK label collective LuckyMe, he signed to Warp Records and released his debut album Butter in 2009. In 2011, he formed the duo TNGHT with Canadian producer Lunice and released their debut EP the following year. Rustie is a Scottish musician from Glasgow. He signed to Warp Records in 2010 and received widespread recognition for his 2011 debut album Glass Swords. He continued to gain recognition when his edit of 2 Chainz' "No Lie" topped the list of "25 Awesome Genre-Benders of 2012" from international magazine VIBE. In January 2013, musician Benny Blanco invited Cashmere to Los Angeles to collaborate on production work and gave him his first concerts in the United States. That summer, he moved from Norway to Manhattan. Almost a year later on 11 February 2014, his second EP Wedding Bells was released. In August, he produced and featured in "Be My Baby" from Ariana Grande's second studio album My Everything . He was also one of the opening acts during Grande's The Honeymoon Tour. One of his songs, "Adore", was also performed during the tour. On 28 February 2016, Cashmere confirmed that his debut studio album, previously titled Wild Love, was on the way for 2016. On 29 July, Cashmere co-produced "Wolves", alongside Sinjin Hawke, for Kanye West's seventh studio album The Life of Pablo. On 26 August, "Wild Love" was released as the lead single from his debut studio album and featured The Weeknd and Francis and the Lights. "Trust Nobody" featuring Selena Gomez and Tory Lanez, was released as the second single on 30 September. "Love Incredible" was released as the third single on 17 February 2017 following the leak of the song a day prior. It featured Camila Cabello and was co-produced by Sophie. "Wolves" is a song by American rapper Kanye West, featuring vocals from Sia and Vic Mensa from his seventh studio album The Life of Pablo (2016). It was produced by Cashmere Cat and Sinjin Hawke and was originally planned to be the opening track to his seventh studio album, The Life of Pablo. West debuted the song on February 12, 2015 at a fashion show where he also premiered his new Adidas shoe. The presentation was broadcast live to more than 40 locations around the world. On 31 March, the fourth single from Cashmere's debut album, "9 (After Coachella)" premiered on SoundCloud and featured MØ and Sophie. On 10 April, he announced on Twitter that the debut album was renamed from Wild Love to 9, reflecting the fourth single, and that production was completed. During late April, the official album tracklist was revealed, showing that The Weeknd, Francis and the Lights, Selena Gomez, Tory Lanez, Camila Cabello, MØ and SOPHIE are all featured appearances that will remain on the album. Others were revealed to be Kehlani, Kacy Hill, Ariana Grande, Ty Dolla Sign and Jhené Aiko. Henry Alfred Steinway, better known by his current stage name, RL Grime, is an American producer of trap, grime and bass music, and member of the Los Angeles electronic music collective WeDidIt. His debut Grapes EP was released in April 2012 on WeDidIt. His follow-up EP High Beams was released in July 2013 on Fool's Gold Records, which debuted at #8 on Billboard's Dance/Electronic Albums chart, and #1 on the iTunes Electronic Chart. RL Grime has produced remixes for Benny Benassi, Chief Keef, Jamie Lidell, and Shlohmo. His second studio album, Nova, was released in 2018. 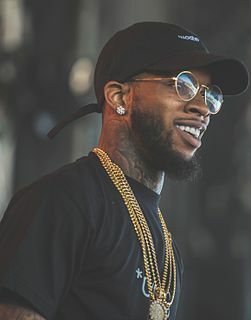 Daystar Peterson, better known by his stage name Tory Lanez, is a Canadian rapper, singer, songwriter and record producer. He received major recognition from the mixtape Lost Cause (2014) and the singles, "Say It," and "Luv", which peaked at number 23, and 19 on the Billboard Hot 100 respectively. In 2015, Tory Lanez signed to Mad Love Records and Interscope Records. Lanez released his debut studio album, I Told You on August 19, 2016. His sophomore album, Memories Don't Die was released on March 2, 2018. On October 26, 2018, Lanez released his third studio album, Love Me Now?. Ben Ash, professionally known as Two Inch Punch, is an English record producer, musician, remixer and songwriter. He has written and produced records with Jessie Ware, Sam Smith, Years & Years, Rag'n'Bone Man, Tory Lanez, Ty Dolla $ign, Damon Albarn, and Brian Eno. Canadian singer-rapper Tory Lanez has released three studio albums, seventeen mixtapes, one extended play (EP), thirty-eight singles and sixty music videos. In 2009, Tory Lanez began his career by releasing his debut mixtape, T.L 2 T.O. He received major recognition from the mixtape, Conflicts of My Soul: The 416 Story released in August 2013, which included guest appearances from Roscoe Dash and Kirko Bangz. In 2014, he released Lost Cause which led to his first tour the "Lost Cause" tour. Tory Lanez collaborated with the WeDidIt collective on the Cruel Intentions EP in 2015. Chixtape III and The New Toronto were released later that year. He released his debut album I Told You, in 2016. 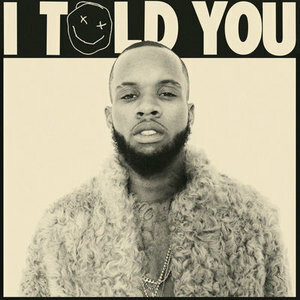 I Told You is the debut studio album by Canadian rapper Tory Lanez. It was released on August 19, 2016, by Mad Love Records and Interscope Records. Recording sessions took place from 2015 to 2016, with the production that was contributed by Lanez, alongside several other record producers such as Benny Blanco, Cashmere Cat, Two Inch Punch and Noah Breakfast, among others. 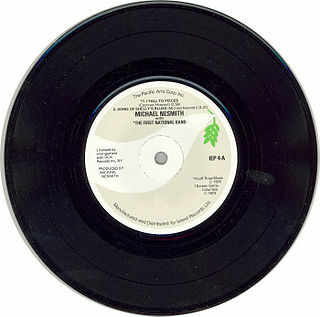 The album was supported by two singles: "Say It" and "Luv". This is the production discography for American producer Benny Blanco. "Crying in the Club" is the debut solo single by Cuban-American singer and songwriter Camila Cabello, released on May 19, 2017. It was written by Sia, Cabello, Benny Blanco and produced by Blanco, Happy Perez and Cashmere Cat. The song samples Christina Aguilera's "Genie in a Bottle". A mid-tempo tropical pop and dance track, it was originally intended to be the lead single off Cabello's debut studio album, which was originally titled The Hurting. The Healing. The Loving. It was later removed from the track listing. The song peaked at number 47 in the Billboard Hot 100 chart. 1 2 Taylor, Ben (5 November 2012). "The Cashmere Cat EP – Perfect for Winter". Swide Magazine. 1 2 Bromwich, Jonah (28 November 2012). "Cashmere Cat: Mirror Maru". Pitchfork Media. ↑ "Rustie – Essential Mix – BBC Radio 1 – 7th April 2012". Soundcloud. April 2012. ↑ Washington, Michael (October 3, 2012). "2 Chainz & Drake- No Lie (Cashmere Cat Edit)". LiveForTheFunk. Archived from the original on 25 October 2012. ↑ "GPWW presents Cashmere Cat". Gilles Peterson Worldwide. October 2013. Archived from the original on 3 February 2015. Retrieved 3 December 2013. ↑ Polonsky, Sarah (16 October 2012). "Editor's Pick: 25 Awesome Genre-Benders of 2012". VIBE Magazine. ↑ Ryce, Andrew (11 February 2014). "Cashmere Cat: Wedding Bells". Resident Advisor. ↑ "CASHMERE CAT on Twitter". Twitter. Retrieved 3 March 2016. ↑ Gallagher, Peach (31 March 2017). "Cashmere Cat Officially Releases "9 (After Coachella)" ft. MØ and Sophie". Run The Trap. Retrieved 11 April 2017. ↑ Bein, Kat (10 April 2017). "Cashmere Cat Renames Album, Announces '9' Is Finished". Billboard . Retrieved 11 April 2017. ↑ Fleisher, Grace (16 June 2018). "Cashmere Cat is a featured producer on Nas' new album, 'Nasir'". Dancing Astronaut . Retrieved 30 November 2018. ↑ Buflaten, Erlend (7 September 2018). "Cashmere Cat hits #1 in UK with Benny Blanco's Eastside". Music Norway. Retrieved 30 November 2018. ↑ "Disse er nominert til Eksportprisen". ↑ "The Chainsmokers, Justice, Eric Prydz & More Nominated for 2017 Electronic Music Awards". Billboard. ↑ "EDVARD-pris til Cashmere Cat". TONO. ↑ "Cashmere Cat kan bli tre ganger Spellemann". Dagsavisen.